Andrea's World Reviews: Look 7 Years Younger In the New Year Now! GIVEAWAY!! Look 7 Years Younger In the New Year Now! GIVEAWAY!! As most of you probably know, 2013 has been a turning point for me. I have always struggled with my weight, and little by little it crept up on me more and more until it was really out of control. I had tried to lose the weight many times, but I let excuses and "failed" attempts discourage me and let me give up. This year I finally just got in my head to make it happen no matter what. To stick to the plan, or revise the plan as needed and follow through on my intentions. It was not really a "New Year's" resolution, but I wanted to for once be able to say that I accomplished my goal. While the war on weight(for me especially) is a continuous battle, for the most part, I can say that I "won". I did what I set out to do, which was work hard, not quit and take the weight off. I feel so great now that I have done it. Not only do I feel more confident in the way I look, but I have more pride in myself for accomplishing my goal, and most importantly, I physically feel better. I am less tired, and I have less pain and fatigue than I used to when I was heavier. I never even realized that my weight caused such issues, until I experienced life without them. As I said, the journey is never really over, and while I m still being careful of my habits, I am letting go a bit more over the holidays. I really needed a way to get back on track and regain my focus. I like having the support of a structured plan to fall back on. That way I never have to worry I am doing something "wrong". Previously, I thought that the best choice would be a diet plan that actually included food, and that did work very well for awhile, but I wanted a way that I could enjoy the same types of things as my family and shop for everything in one place. I wanted regular, everyday foods that were smarter and not too complicated(or expensive). I found everything I was looking for in a fabulous book. 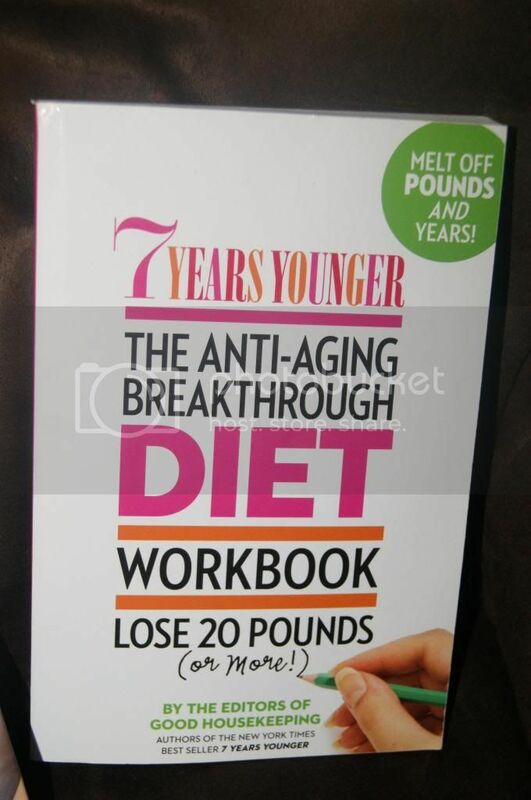 I admit, at first I was a bit skeptical about a diet plan that was just a book, but 7 Years Younger The Anti-Aging Breakthrough Diet is anything but. First of all it has a book and a workbook. The workbook really makes this super interactive and makes you really want to so everything the book teaches. There is an initial quiz so you know where you stand before you even begin. 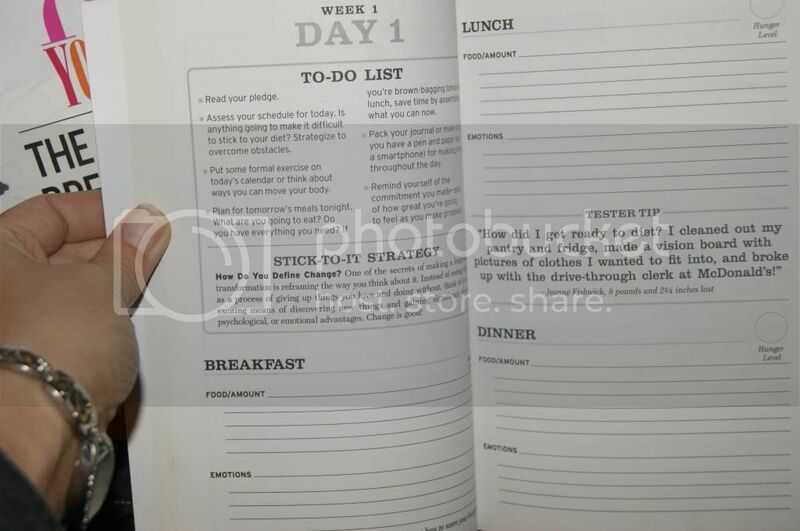 Not only does the workbook have sections to keep track of all of your daily actions and progress, but it also has tips. 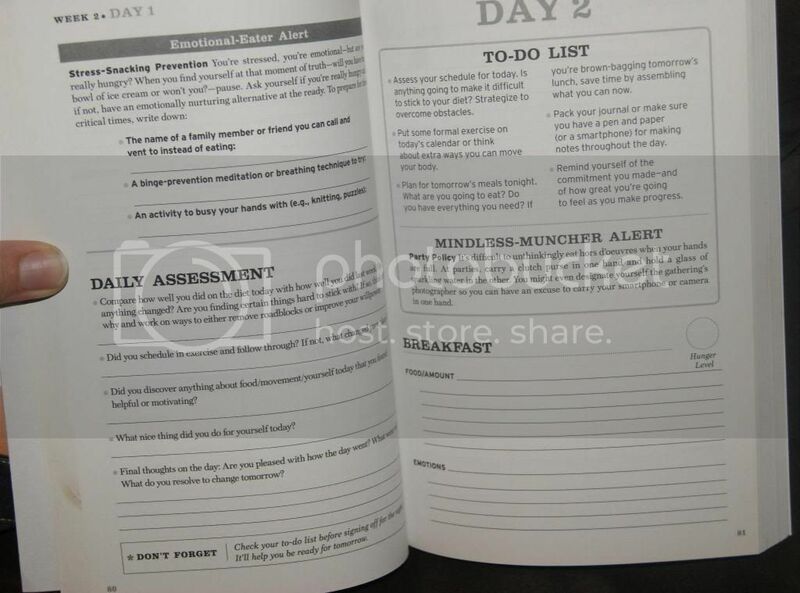 The workbook makes it so easy to stay focused. It makes everything so clear. You never have to question what you are doing as long as you follow the workbook, you know you are on track. I love that the book supports everything you are doing in the workbook and gives you all the information you need in more detail. I really love that the book recommends eating portions, but also actual recipes that fit the guidelines. It is real food with real ingredients. you get to eat whole grains(yes, carbs are not evil), even (reduced-fat) cheese. The recipes are all amazing. Even better, most of the recipes are very easy and quick to prepare, which is essential as a busy mom. I really love the fact that there are eat this instead of that charts inside. Not only does it show you what to chose at restaurants and fast food places(naming the exact dishes to get not just a type like "steamed veggies" or "baked fish"), but also what snacks are better from the grocery stores. Not only things like veggies and fruits either, but actual brand name packaged products compared to other brands. Most diet plans don't do this kind of thing because they sell their own foods, so even if they did, they'd be biased. It tells you which granola bars are better than others(naming specific brands and flavors), and so on. It is such a great resource. I love that I am not expected to starve myself or eat boring, depressing foods. I am allowed to be a normal person, just be smarter about it. It's the kind of diet where you could be out with family and friends and not have to have everyone know that you are dieting. I have been on other plans where it was blatant, and that is no fun. What is really special about this book(plan) is that not only does the diet melt the pounds, but also the years. Being unhealthy can take a visible physical toll on the body, and eating healthy, nourishing foods, can actually help prevent(or reverse to an extent) the signs of aging. I always though that aging was not something I had to worry about at only 25, but in just the past couple years my skin has taken a real toll, and if this is what aging is, I want no part of it. I love the idea of accomplishing to amazing tasks with one easy diet plan. 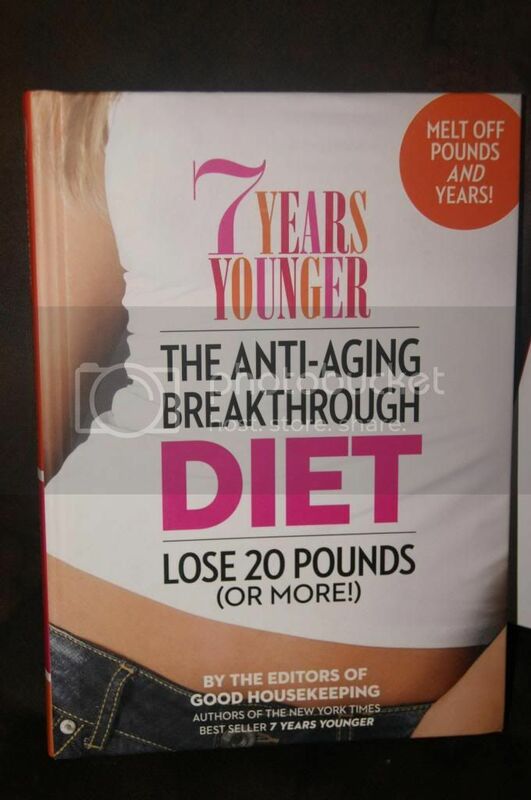 The 7 Years Younger Diet is remarkable. I cannot wait to find out everything I can gain from continuing this program. I love it so far. 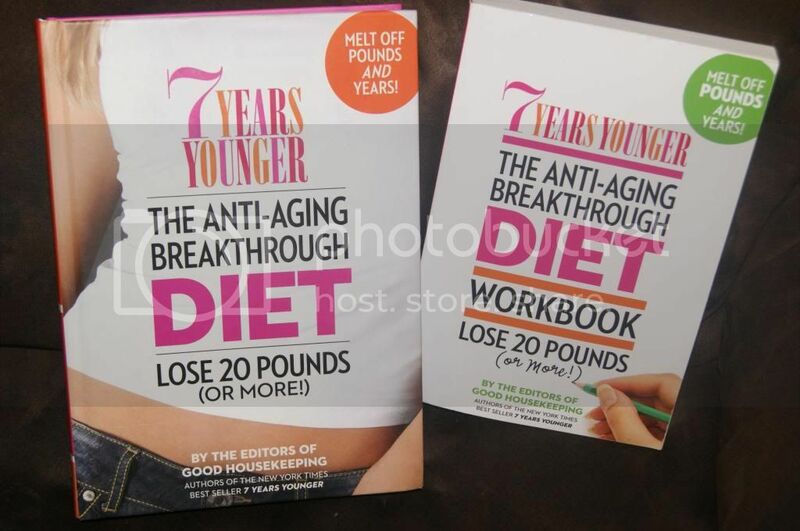 If you would like to try this diet for yourself and look 7 years younger(and many pounds lighter) for 2014 purchase the book at 7 Years Younger and begin the weight-loss program and transformation. Come back and post pictures and tag your journey with hashtag #7YearsYounger2014. Enter the giveaway below for your chance to win a copy of this fabulous book. Good luck. I want to try this because my 35 year old skin could really use it! I have tried all the gimmicks on the market and nothing has really helped. I like that it has recipes and basically gives you everything you need to use this program to the fullest extent. Because I will be 40 in March and I could sure stand to lose some weight. This looks like a very interesting book/concept! I've recommitted to losing weight and getting healthy. This would be great for me. My wife would enjoy using something like this. She likes being held accountable and likes things in an orderly and organized fashion. This is perfect. I could really use this book! I need to lose a significant amount of weight and any and all help is welcome.